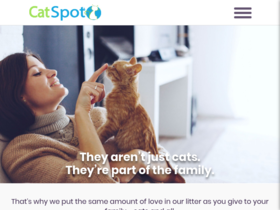 Use this coupon code to save 20% off CatSpot Litter today. Sign up for the convenience package from CatSpot and save 15%. Enjoy free shipping all the time at CatSpot online. Check out CatSpot online for their latest special offers.